No pictures found for plate number GAD1457 in Ohio, United States. click here to add a picture. No videos found for plate number GAD1457 in Ohio, United States. click here to add a video. 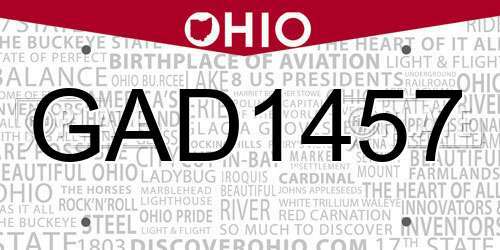 No owners found for plate number GAD1457 in Ohio, United States. click here to add an owner. No related websites found for plate number GAD1457 in Ohio, United States. click here to add a related website. 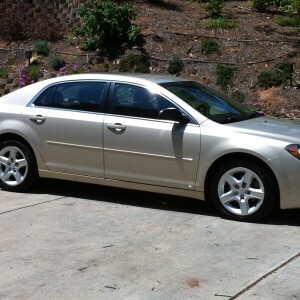 GENERAL MOTORS RECALL NO. 09041.OWNERS MAY ALSO CONTACT THE NATIONAL HIGHWAY TRAFFIC SAFETY ADMINISTRATION'S VEHICLE SAFETY HOTLINE AT 1-888-327-4236 (TTY 1-800-424-9153), OR GO TO <A HREF=HTTP://WWW.SAFERCAR.GOV>HTTP://WWW.SAFERCAR.GOV</A> . DEALERS WILL REPROGRAM THE HVAC CONTROL HEAD MODULE. THE RECALL IS EXPECTED TO BEGIN ON DECEMBER 17, 2008. OWNERS MAY CONTACT CHEVROLET AT 1-800-630-2438 OR THROUGH THEIR WEBSITE AT <A HREF=HTTP://WWW.GMOWNERCENTER.COM>HTTP://WWW.GMOWNERCENTER.COM</A> . GM RECALL NO. 08388.CUSTOMERS MAY ALSO CONTACT THE NATIONAL HIGHWAY TRAFFIC SAFETY ADMINISTRATION'S VEHICLE SAFETY HOTLINE AT 1-888-327-4236 (TTY 1-800-424-9153), OR GO TO <A HREF=HTTP://WWW.SAFERCAR.GOV>HTTP://WWW.SAFERCAR.GOV</A> .